Flash Flood Watch for Northern Westchester County, New York: Flash flood watch remains in effect from 2 AM Saturday through Saturday afternoon. The flash flood watch continues for portions of Southern Connecticut, Northeast New Jersey, and Southeast New York A slow moving frontal system will approach the region tonight into Saturday. Brighten the holiday season with a concert of seasonal favorites! 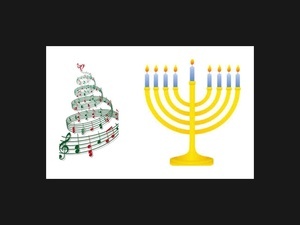 Join guitarist John Fiscella in a program of holiday songs and rock standards. Come and sing along! No registration is necessary. John Fiscella (Somers High School, Class of '86) is a guitarist and music teacher who has been giving private music lessons in Somers since 1990. He currently performs in the New York and Connecticut area with several different bands including the Joey D. Jazz Ensemble, John and Mike, and SuperNovaKane. Our programs are funded by the Friends of the Somers Library through your donations.